Another Trump attorney, Marc Kasowitz, also wrote a confidential memo to Mueller, on June 23, 2017. It advocates the “unitary executive” doctrine, a radical rightwing theory of extensive presidential powers. On June 3, Giuliani revealed the real reason Team Trump fears a Mueller interview of the president. Dowd and Sekulow maintain that the president cannot commit the crime of obstruction of justice. Trump’s actions, “by virtue of his position as the chief law enforcement officer, could neither constitutionally nor legally constitute obstruction of justice because that would amount to obstructing himself,” the lawyers wrote in their memo. George Washington University law professor Jonathan Turley, writing in The Washington Post, concurs and explains why a sitting president could be charged with a crime. 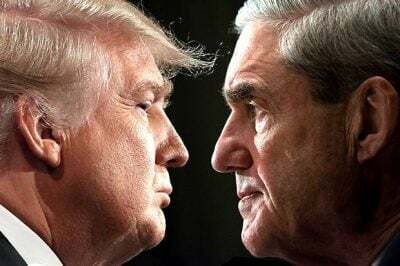 Could the president fire Mueller? “He certainly believes he has the power to do so,” White House press secretary Sarah Sanders said in April. But since Attorney General Jeff Sessions recused himself from the Russia investigation, the power to fire Mueller resides only with Deputy Attorney General Rod Rosenstein, who has said he sees no cause to dismiss the special counsel. Trump’s claims of absolute power are reminiscent of Nixon’s infamous 1977 television interview with David Frost three years after Nixon resigned. “Well, when the president does it, that means that it is not illegal,” the disgraced former president stated. Marjorie Cohn is professor emerita at Thomas Jefferson School of Law, former president of the National Lawyers Guild, deputy secretary general of the International Association of Democratic Lawyers and an advisory board member of Veterans for Peace. An updated edition of her book, Drones and Targeted Killing: Legal, Moral, and Geopolitical Issues, was recently published. Visit her website: http://marjoriecohn. com. She is a frequent contributor to Global Research.